ITALY anyone? 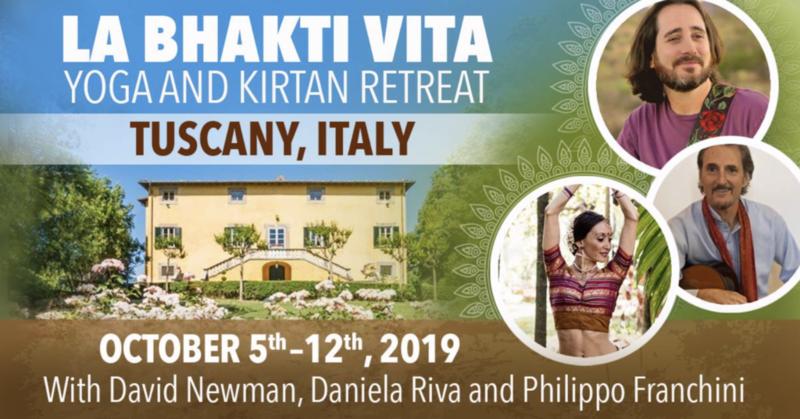 Join David Newman, Daniela Riva & Philippo Franchini for “La Bhakti Vita” Retreat in Tuscany, Italy, October 5th to 12th. We will converge in a private villa in beautiful Lucca in the heart of Tuscany for a week’s worth of yoga, kirtan, shanti and chianti 😅 If this makes your heart sing, check out details at: https://tickets.brightstarevents.com/event/la-bhakti-vita ❤️ — with Philippo Franchini.